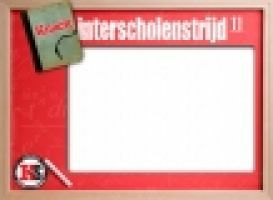 Welke school wint de Knack Interscholenstrijd 2011? Neal R. Armstrong, Ph.D., Professor of Chemistry and Biochemistry, Professor Optical Sciences, and Director, Department of Energy - Energy Frontier Research Center for Interface Science: Solar Electric Materials. Neal R. Armstrong explores the interface science of emerging thin film solar cell technologies ultimately allowing most of the surfaces in our living space to harvest solar energy. Erica L. Corral, Ph.D., is Assistant Professor of Materials Science and Engineering and BIO5 Faculty Member. Erica L. Corral focuses on high-temperature materials for use in extreme environmental applications such as in aerospace vehicles. Christopher Hulme, Ph.D., is Associate Professor, Pharmacology and Toxicology, BIO5 Institute Member and Arizona Cancer Center Member. Christopher Hulme is enabling drug discovery through the development of a diverse compound library using efficient methods that will ultimately cut the time it takes to develop new pharmaceuticals. This unit looks at the methods that have been developed by organisms for the uptake, transport and storage of iron: a process made more complicated by the insolubility of its oxides and hydroxides. You will examine iron storage in mammals, including humans, is achieved by ferritin, which stores iron as a hydrated iron (III) oxide – an example of biomineralisation. Dr. David Dale, Professor Medicine at the UW, speaks about the critical role of the white blood cells, called neutrophils, in the body's defenses against infections, and describes how these cells are made to kill bacteria. He discusses the consequences of not having enough neutrophils, a condition called neutropenia, and what can now be done to alleviate this problem. He also talks with former patients who lend their perspective on their conditions and treatment. From the early grades on, students develop their reasoning skills by making and testing mathematical conjectures, drawing logical conclusions, and justifying their thinking in developmentally appropriate ways. As they advance through the grades, students' arguments become more sophisticated and they are able to construct formal proofs. By doing so, students learn what mathematical reasoning entails.